IFFPIE awards Man of Peace 2015 to Pope John Paul II from the movie John Paul II in America: Uniting a Continent. This award is given to him because even though the pope has already died he keeps on inspiring people in the world until now. Pope John Paul II once said "There is no country so tolerance in this world like Indonesia” during his visits years ago in Indonesia. International Film Festival for Peace, Inspiration and Equality (IFFPIE) also gives a special award to actor Andy Garcia. Andy Garcia is known as his role as Vincent Marcini in the movie The Godfather III with 7 Academy-Award nomination including for himself as Best Supporting Actor and Best Supporting Actor in Golden Globe. Andy Garcia received Special Jury Award with the movie John Paul II in America: Uniting a Continent. This film was directed by David Naglieri. 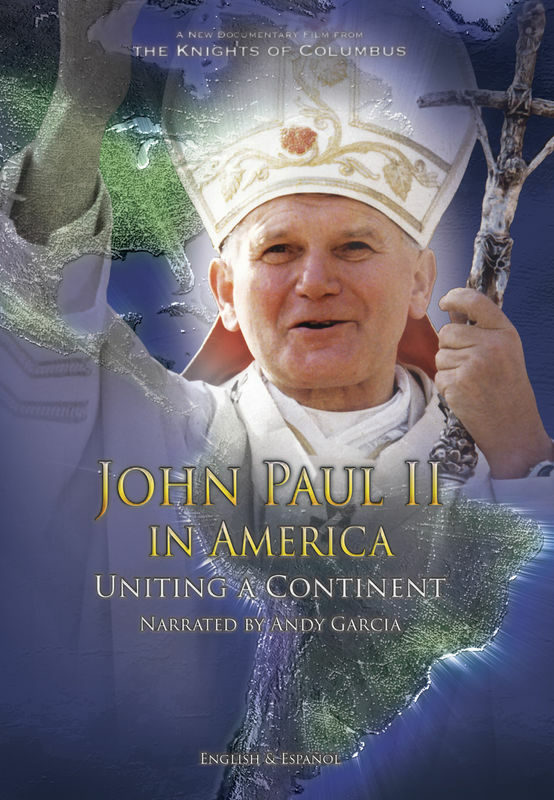 This movie itself was made to commemorate the 10th year of Pope John Paul II death and his relationships with North and South America. “Andy Garcia deserve this award because even though he is an A class Hollywood actor but he still wants to do something for humanity including his involvement in this movie” said Damien Dematra, the founder and director of IFFPIE. By giving this award to Andy Garcia IFFPIE hopes that this will inspire celebrities inside and outside the country to promote peace. This festival is fully supported by People Creative Council (DKR), i-Hebat International Volunteer, Russian Culture Center, World Film Council, Film Festival Alliance, Cinema XXI, Care for Children Foundation and Radio Republic of Indonesia (RRI) as media partner for national and international news.